After Aspire Academy and Hillcrest Prep picked up wins in the first round of the World Championships, both teams matched up in the second round looking to advance to the semi-finals. Aspire Academy dominated the second half on their way to a win in the quarter finals. Behind the hot shooting of junior wing De'Sean Allen-Eikens, who scored 10 of the team's first 11 points, Aspire Academy jumped out to an early 11-5 lead. Aspire Academy continued to build on that lead down the stretch as that lead grew to ten with 5:30 left in the first half. Things continued to go Aspire Academy's way on the offensive end as they entered the break with a 38-25 lead. The second half was much of the same story as newcomer Jawuan Newton knocked down a three-pointer that put Aspire Academy up 41-25 to start play. Hillcrest Prep leaned on junior wing Stephan Gabriel for scoring off the bench, but his effort wasn't enough as Aspire went on to win the game 74-55. 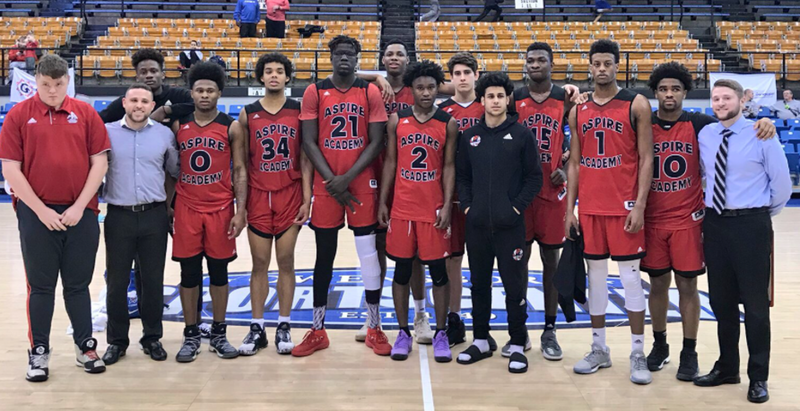 Junior center Charles Bassey led Aspire Academy with 23 points, 11 rebounds, and 3 blocks, while Allen-Eikens chipped in 18 points. Gabriel led Hillcrest Prep with 26 points off the bench. ©2019 ASPIRE Basketball Academy / SportsEngine. All Rights Reserved.